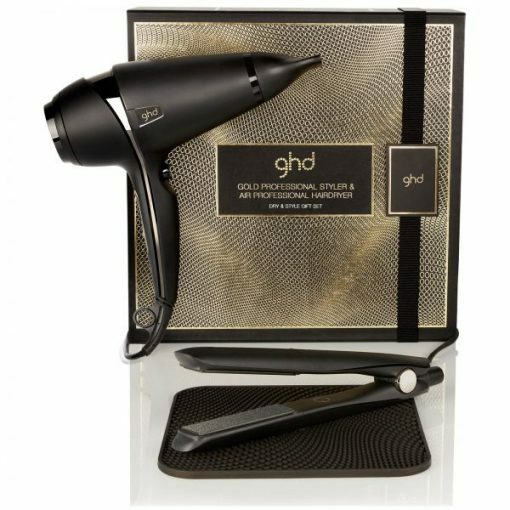 The ghd Dry & Style Gift Set features the ghd gold styler and the ghd air hairdryer, for perfect styling. Perfect for the girl who wants it all the ghd Dry & Style Gift Set brings you the perfect double act for the Christmas party season. 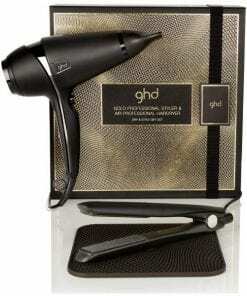 Featuring professional favourite ghd gold styler with dual-zone technology, and the ghd air hairdryer. With these two tools, every look will be styled to perfection. Whether your creating curls, waves or a sleek and straight finish, the ghd Gold professional styler will transform your beauty regime and leave you with glamorous, healthy-looking hair. Thanks to dual-zone technology, this smart styler delivers optimum performance by incorporating an advanced heat sensor on each plate to maintain the ideal styling temperature of 185ºC constantly and evenly, from root to tip. These impressive hair straighteners also feature a speedy heat-up time of 25 seconds and an automatic sleep mode that turns them off after 30 minutes of non-use, offering added peace of mind on those rushed mornings. 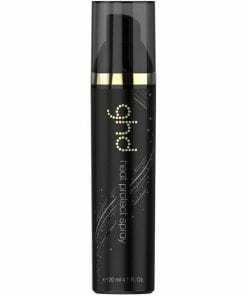 As for its design, the new Gold styler boasts a round barrel for versatile, snag-free styling, a protective plate guard and universal voltage that lets you create unique and luxurious styles wherever you are in the world. 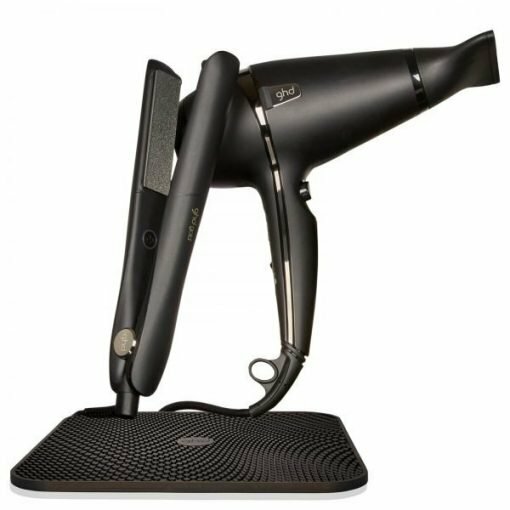 Be blown away by the salon-quality precision of the ghd Air® – the first professional hairdryer from ghd. 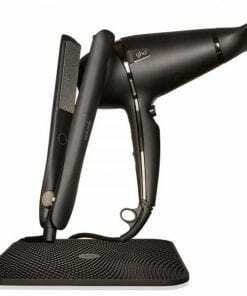 You can achieve expert results from the comfort of your own home with a powerful 1800W AC motor inside a uniquely crafted body that’s shaped to give you a salon finish at twice the speed. Advanced ionic technology locks in moisture for softer, shinier results that last longer with less frizz. Plus, variable power and temperature controls allow you to tailor your blow-dry to your hair type, while a cool shot button helps you set your style in place with a blast of cold air. Using the ghd Air® is a breeze thanks to the ergonomic design that makes it comfortable to hold for both left and right-handed users. What’s more, the 3m long power cable offers total flexibility allowing you to dry your hair with ease wherever, whenever. Whether it’s sleek, smooth results or big volume you’re after, the ghd Air® hairdryer puts the power of a salon blow-dry in your hands.